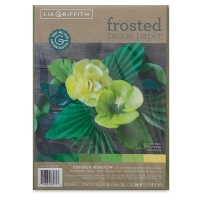 Lia Griffith Tissue Paper Packs are great for wedding and party decorations, kid's craft projects, do-it-yourself paper crafts of all kinds — even elegant gift wrapping. 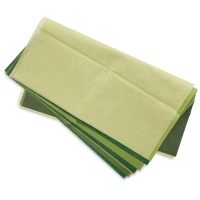 Each pack holds 24 or 25 sheets of 20" x 20" tissue paper. 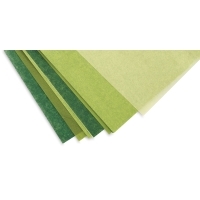 Choose from a variety of themes. Includes 24, 20" × 20" tissue paper sheets with a frosted finish, four each of Evergreen, Moss, Fern, Grassland, Grasshopper, and Buttercup, plus a pattern to make a variety of summer flowers and leaves.